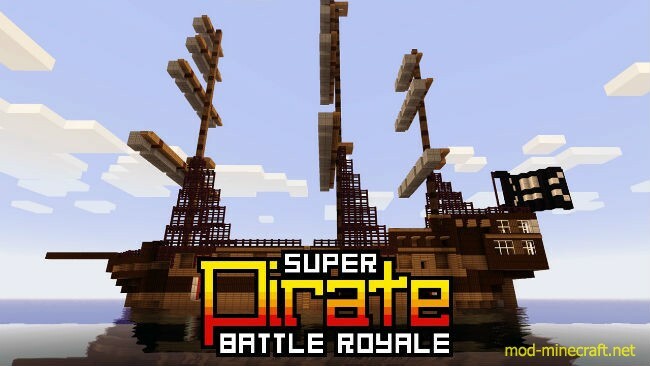 SUPER Pirate Battle Royale: Battle Pirate style on the high seas! This was a collaborative build with Sethbling (Youtube channel). Load your propellant TNT in the cannon with the piston loaders, place the cannonball (TNT), ignite the propellant and then ignite the cannonball. You can adjust the angle by biasing one side of the propellant TNT. Click the downloadnow! button to try it out for yourself. If you play SUPER Pirate Battle Royale on Youtube, please add a link to the official video in the description.